How many items can I check out at one time? Up to 100 materials may be checked out on a card at a time. You may check out only 4 DVDs owned by Perkiomen Valley Library, however, we do not limit held items belonging to other libraries. There is no limit (save the 100 limit total) on books, magazines, or audios. However, if you choose to use your MCLINC card at another library, limits may apply. Yes! Your library card, with the blue Access sticker, grants you use at the majority of Pennsylvania Libraries. Check with the library of your choice for additional information. Can I return my book at another library? Yes! Most libraries throughout Montgomery County and beyond will accept our books and return them to us. 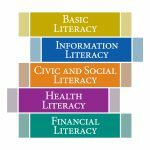 Check with the library of your choice for additional information. Assuming an item can be renewed (most items have two renewals, however some items have none: check with staff for more information), there are three ways to renew an item. You can visit the library in person, call us at 610-287-8360, or log into your MCLINC account here and follow the prompts for book renewal. Fines vary, based on the item. DVDs accrue $2 per day up to 7 days, adult materials are 15¢ per day, and juvenile materials are 10¢ per day. Magazine cases are $2 each, if not returned with the magazine. How long can I keep a checked out item for? Due dates vary, based on the lending library. For a PVL item, loan periods can be found here. Or, check your receipt for a comprehensive list of due dates. Call the library or reserve your book online by logging onto your MCLINC account here and following the prompts to reserve a book. If you reside in one of our service areas, you can get a card, with an Access sticker, granting you access at most Pennsylvania libraries. Those in Montgomery County but outside our service area can receive a card without Access, providing use at our Main Library or our sister Branches in Red Hill, Royersford, and Conshohocken. Children under the age of 18 need a parent’s/guardian’s signature on the registration form. Please come in to the library with identification showing your current address to register yourself or your child(ren). Please note: Residents of Lower Salford MUST apply to the Indian Valley Public Library first. After you receive your IVPL card, your card can be added to our MCLINC database. What if my card expired? Library cards expire every two years. Please visit the Library with a current form of identification (including your current address) and we will update your card. You can get a new card for $3.00. Please visit the Library with a current form of identification (including your current address) and we will update your account and issue you a new card. Does a card cost anything? Cards are free to those in our service area and in Montgomery County. Outside of Montgomery County, cards are $30 for one year. Stop in at the library and fill out a quick and easy application to get your card. Please bring your photo ID (preferably your PA driver’s license) with your current address for verification purposes. Click here for more information and a printable copy of the application form. Is the hall available to rent? Yes! View more information about hall rental here. 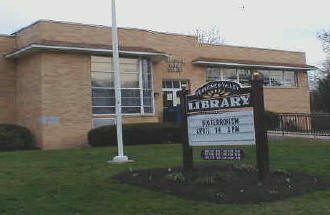 The Perkiomen Valley Library at Schwenksville is a branch of the Montgomery County-Norristown Public Library and is a participating member of the Pennsylvania Access program. Hosted by MC-NPL Computer Lab.